HomeAudioBlogGabe Has Found His Voice! 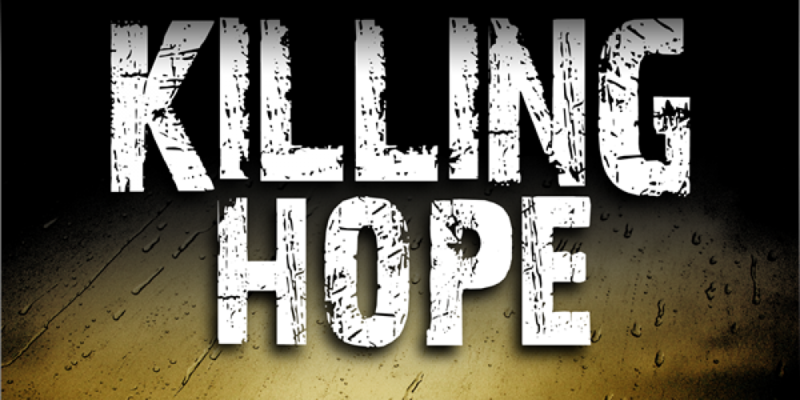 It’s been four months in the making, but I’m thrilled to announce that “Killing Hope” – (Gabe Quinn Thriller #1) is now available in audio format as a downloadable audiobook from Amazon, Audible and iTunes, and it sounds absolutely amazing! The narrator, David Doersch, has done an excellent job of fleshing out the characters, individualizing their voices and, of course, staying true to Gabe’s roots by giving him an earthy Memphis accent. It’s like the whole book has enjoyed a new lick of paint and is now brighter and bolder than ever! In preparation for the recording, “Hope” underwent a complete refit. I made editorial changes to the manuscript to enhance the audio experience. Nothing too drastic, just a little fine-tuning here and there to allow the spoken words to flow much more smoothly off of the tongue. The updated version features a brand new Prologue, with some scenes I deemed surplus-to-requirement being removed. The end result is tighter, fresher and spectacular. In fact, the recording has created an exciting new dimension to the book by coloring characters and injecting real feeling into the narration. It’s like “Hope” has been given a whole new lease of life and she’s much sprightlier for it! As the print version is chunky, the audiobook is lengthy, running just short of 13 hours, which is plenty of time for the listener to immerse themselves totally in the experience. And it’s addictive. What becomes apparent as the story unfolds is that everything feels bigger – the locations, the players, the plots – making this audio version essential listening for every Gabe Quinn enthusiast. Please Note: Should you wish to take advantage of the Whispersync for Voice service, be sure to go to your Kindle Manager in your online Amazon Account and download the latest version of the eBook to your Kindle library. This way, you can normally pick up the audiobook at a vastly reduced price compared to normal.